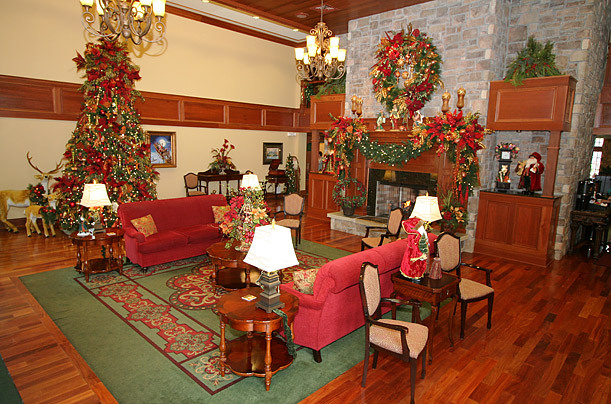 Families who love all the trappings of Christmas can visit the Inn at Christmas Place, a four-star hotel that spares no detail, in Pigeon Forge, Tenn. The establishment features old-world Bavarian architecture and is renowned for its very comprehensive Christmas decorations and monthlong activities leading up to the big holiday, including a singing Santa Claus and a visit by Charles Dickens' great-great-grandson. If that's not enough Christmas cheer, guests can cross the street and visit Christmas Place (the hotel's namesake), the American South's largest Christmas store.